The web has been a double-edged sword for fashion brands — both a way to reach a worldwide audience for their wares, and a giant emporium where shoppers can click to a rival site in seconds. 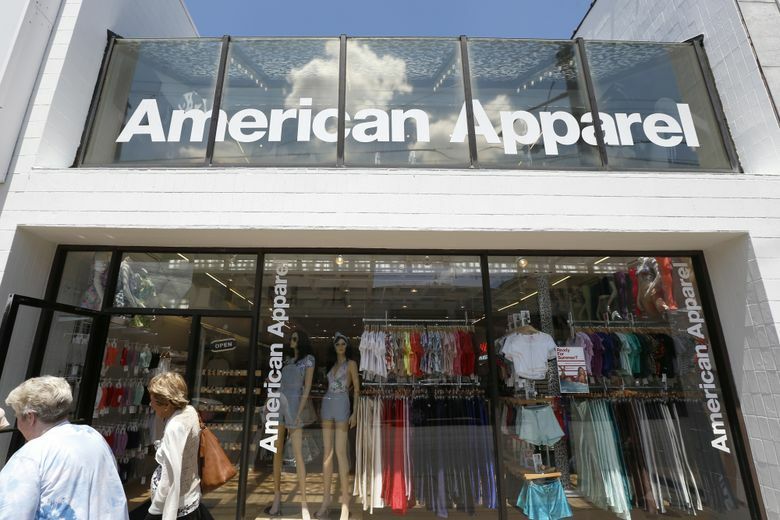 LOS ANGELES — American Apparel bit the dust. So did Nasty Gal. BCBG Max Azria filed for bankruptcy, along with teen retailer Wet Seal. And last week Bloomberg reported that Bebe Stores, a mall apparel chain known for selling trendy going-out apparel to young women, plans to close all 170 stores while avoiding Chapter 11 bankruptcy, in order to focus on its online business. The fashion industry has long been a fickle beast, with trends rising and dying sometimes in the space of weeks. But changing consumer habits — including the emergence of e-commerce and the decline of traffic at many malls — is further shortening the life cycle for many fashion brands, analysts said. Faced with seismic changes, bankruptcies in the retail sector have been on the rise. In 2012, three retail companies with liabilities of $50 million or more filed for bankruptcy, according to a study by consulting firm AlixPartners. Eight retail bankruptcies occurred in 2014 — a number that was reached just six months into 2015, the last year analyzed in the study (although that still pales in comparison to 20 bankruptcies in 2008 during the height of the recession). To be sure, once-hot brands faded away with nary a whimper before the digital age: Robert Hall in the 1970s, Rogers Peet in the 1980s and Merry-Go-Round in the 1990s. But the web has been a double-edged sword for fashion brands — both a way to reach a worldwide audience for their wares, and a giant emporium where shoppers can click to a rival site in seconds. Some retailers have stumbled, including a number of Southern California brands. It’s a region that has already been hard-hit by a decline in garment manufacturing — and as home for many casual brands, is especially susceptible to the rise of fast fashion. BCBG concedes its failure to harness the web contributed to its downfall. The Los Angeles company said e-commerce sales made up only “a small proportion” of its overall business, according to bankruptcy documents. The rise of fast-fashion rivals has also shortened the attention span of consumers. Before H&M and Zara came on the scene, retailers that had a lackluster season could course-correct a few months down the line — knowing shoppers would probably come back to browse while strolling their local mall. But now shoppers can hop online or go to fast-fashion stores that introduce fresh fashions on a weekly basis. At the same time, consumers are spending a diminishing chunk of their income on clothing, opting to shell out for electronics or experiences instead. Less than 4 percent of every dollar is now spent on buying apparel, Johnson said, compared with 8 percent in the mid-1990s and 20 percent a century ago. The offshoring of manufacturing has dramatically reduced the price of clothing over the last few decades. That has wounded brands catering to young shoppers. California-based Wet Seal, for example, is preparing to close its stores after filing for bankruptcy for the second time in February. Aside from premium denim, Southern California brands tend to offer more casual wear, compared to designer-heavy New York, Johnson said. Shoppers therefore find it easier to switch to buying via e-commerce sites such as Amazon or in fast-fashion stores — one reason so many firms have faltered in recent years. New fashion brands are also finding an increasingly tough climb. They can reach potential customers directly on social media and sell product from their own websites. But it requires heavy investment to get eyeballs — especially when companies are trying to attract investors by demonstrating fast growth, analysts said. Nasty Gal, a once-hot Los Angeles company that sold its intellectual property for $20 million after filing for bankruptcy in November, saw its sales plunge after it ran out of money to invest in online marketing and advertising. Friedman, who has consulted for fashion brands for decades, now tells new businesses that they need starting capital of $500,000 to $1 million. That’s compared with $200,000 to $300,000 about a decade ago, he said. That cost means that fashion brands can burn through cash quickly, which can be a death knell for those without fresh investment or brisk sales. After changes to the U.S. bankruptcy code in 2005, retailers that are forced to file for bankruptcy protection are also less likely to survive. Those changes shortened the time frame that retailers have to get approval for restructuring or a sale; companies have only 210 days to decide whether to hold onto or get rid of store leases. Brick-and-mortar retailers, especially, have been hit hard. Instead of getting out of unprofitable leases and emerging from bankruptcy as a leaner business, many end up going out of business entirely and selling their brand. That has led to an environment in which only the savviest company, especially those with physical stores, can survive. Since 2005, 55 percent of retailers that have filed for bankruptcy have ultimately liquidated their business, compared with 5 percent of bankruptcies in other industries, the AlixPartners survey said. This year is expected to be another big year for bankruptcies.